Akihito and Michiko break with a 350-year-old tradition, choose to be buried in smaller mausoleums in less socially disruptive services. Meanwhile, the Japanese discuss the future of the imperial household. Tokyo (AsiaNews) - In what constitutes a break with a 350-year-old tradition, Japan's imperial couple has decided to be cremated after they die. 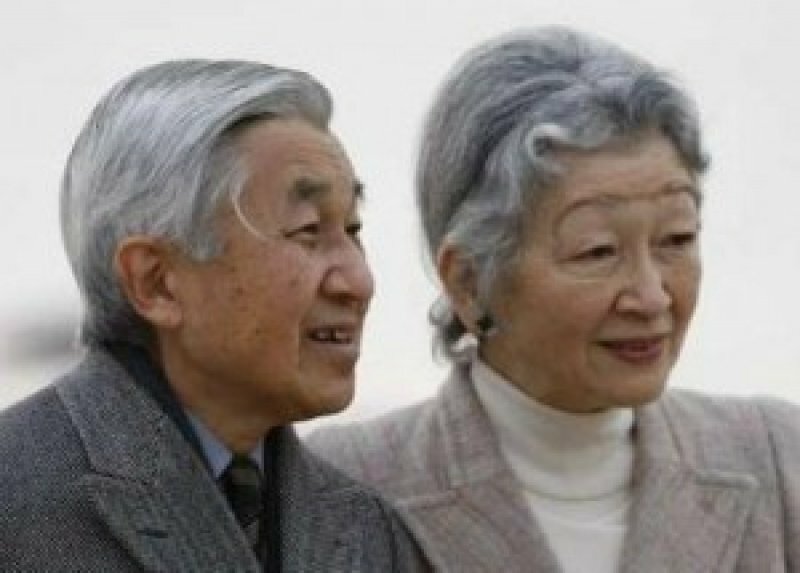 Emperor Akihito and Empress Michiko also expressed a wish to be buried in a smaller eco-friendly mausoleum following funeral services that are as little socially disruptive as possible. The announcement made by the Imperial House has sparked an intense debate in the country, where the imperial family still remains an important symbol of national unity despite losing its semi-divine status. Changes to the funeral rites have been under consideration since April last year after the Emperor and Empress expressed their wish to be cremated, a historic change since the early Edo Period, Imperial Household Agency chief Noriyuki Kazaoka said Thursday. The Edo Period is also known as the Togukawa Period, and represents the final stage in the country's shogunate regime. The decision marks a turning point in Japanese imperial tradition. Usually, when an emperor dies, the whole country goes into mourning for nine days. Following Shinto customs, people make offerings, visit the Imperial Palace to extend their condolences and abstain from normal social life. The imperial family however remains in mourning for a year, as was the case after Akihito's father, Emperor Hirohito, died. When Akihito dies, his son Naruhito will succeed him and receive the insignia of power after his father's death but will have to wait 365 days for his coronation. After the emperor's death, a temporary Imperial mortuary will be built at the Imperial Palace. According to tradition, only members of the Imperial Family, the Imperial Household, and prominent figures and leaders will be admitted to the site. Then, the imperial couple will be buried in two mausoleums - one for the emperor, the other for the Empress - open to the public. The Imperial couple want to change tradition. According to the Imperial Household Agency, Emperor Akihito wants his mausoleum to be smaller than his father Hirohito's 4,300 m2 tomb. The agency also indicated that he wanted to be buried with his wife in the same mausoleum, something that Empress Michiko declined because it would be too big. The agency also said that "Many trees must not be cut for the construction of the halls" out of respect for the surrounding natural environment. Japan's capitulation at the end of World War II, the loss of the emperor's temporal power and Hirohito's "humanity declaration" of 1946 profoundly changed the nature and role of Japan's foremost leader. Nevertheless, he remains the country's most respected figure, and is still seen by many as a go-between with the beyond. Akihito's choice now appears to herald more changes for Japan and the monarchy's ties to the Japanese people. When he came to the throne, he chose 'Heisei' (achieving peace) as the name of his era, and will be accordingly and posthumously remembered as 'Emperor Heisei'.